Like in case with Demilich, this Polish/Canadian band has managed to record one of the most interesting yet underrated experimental releases of the 90s. Zaraza was started in 1993 in Montreal by Jacek "Doomhammer", a newly arrived Polish immigrant, and Grzegorz "Haus ov Doom", a local industrial artist which has Polish roots too. 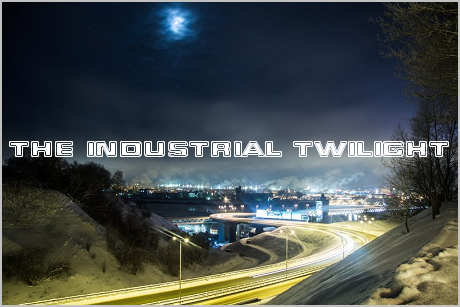 They've released 2 CDs before disbanding in 2005; now all their music is officially available for free and highly valued among the collectors of early industrial metal. The band's name means "plague" in Polish (to a Russian-speaker this word sounds rather funny than scary, though). The band members describe their style as "born out somewhere in the void between SWANS, old Laibach, Winter, Unholy, Skin Chamber, Napalm Death, Godflesh, etc." I'd say "Slavic Blasphemy" reminded me of "The Machine" by Dead World - albeit not quite as dark and misanthropic, but less repetitive and with higher level of songwriting. According to the legend, after the release of "Slavic Blasphemy" the members of Zaraza were unable to eat due to spending all their available money on recording. No idea if it's true or not, but the album is well-produced by the standards of its time, and certainly worth listening to.